As you will probably be aware, Halloween is lurking around the corner, promising yet another night of frightening shinanigans, satanic rituals, scary movies and of course, the most wonderfully debauched costume parties. Now, if you're going to a Halloween fancy dress party this year and you're yet to create or acquire the perfect costume, never fear, because we're here to help. This year, if you're looking to scare the living spirit out of your friends or drop jaws as you float into the room, here some spine-chilling low-budget Halloween costume ideas that will look awesome without leaving a gaping hole in your wallet (meaning more money for beer, wine, spirits, and candy). 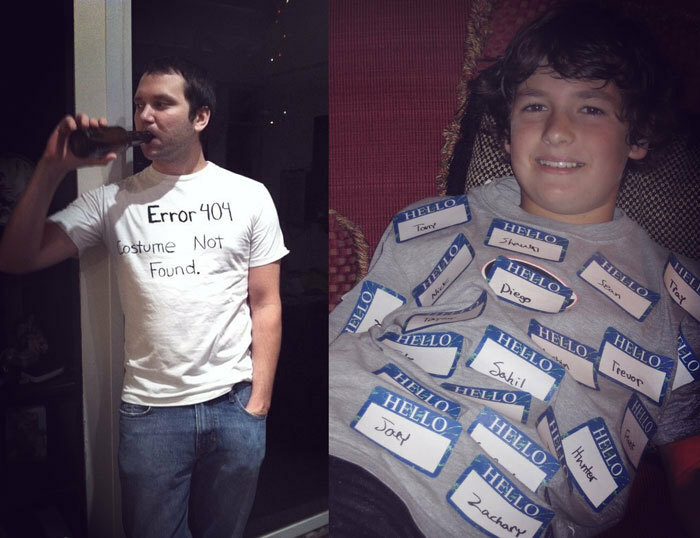 For a no-frills Halloween costume that will spark conversation, raise laughs and turn heads for practically no effort or cost, the '404 error costume not found' option is a real gem. If you're the guy or gal that is dry by nature and would rather drink and dance than dazzle others with your spooky outfit, all you need is a black marker pen, a cheap white t-shirt and a few minutes to add your own personal spin on the look proudly displayed above. This subversive ensemble is the low-budget costume that keeps on giving (meaning you can fish it out every single Halloween or just enjoy wearing it around the house when the party is over). Without a shadow of a doubt, the mummy is a stone cold Halloween classic and if you'd like to sport this iconic look for a few bucks while remaining comfortable underneath, this may be the one for you. 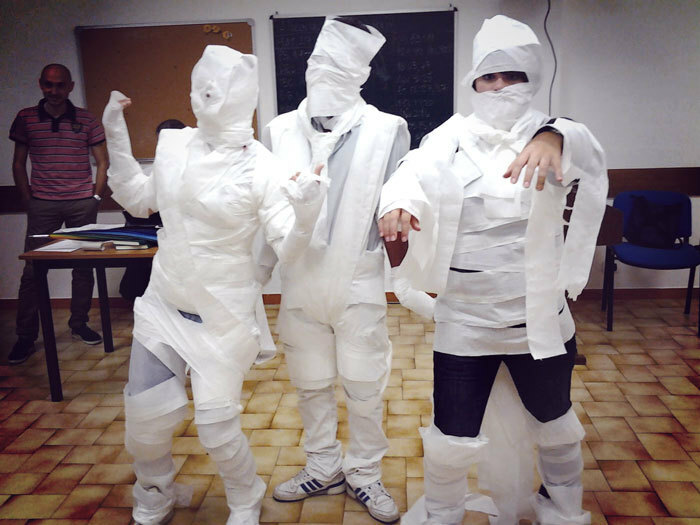 Simply grab a couple of rolls of toilet paper and ask someone to wrap you from head to toe, leaving peepholes and a mouth hole, before securing it at the back with tape. This costume will perish but it will look awesome for a few hours at least, and you won't get caught short at the party if the TP runs out in the bathroom. These days, most of the world operates on social media - and despite the host of new platforms that are available in today's digital age, Facebook is still one of the most popular - so why not go as a Facebook profile to this year's Halloween party. Okay, this idea will take a reasonable amount of skill and effort, but the payoff will be immense. You will just need a large cardboard sheet, a few colored marker pens, some scissors and around an hour or so of your time to complete this head-turning look. 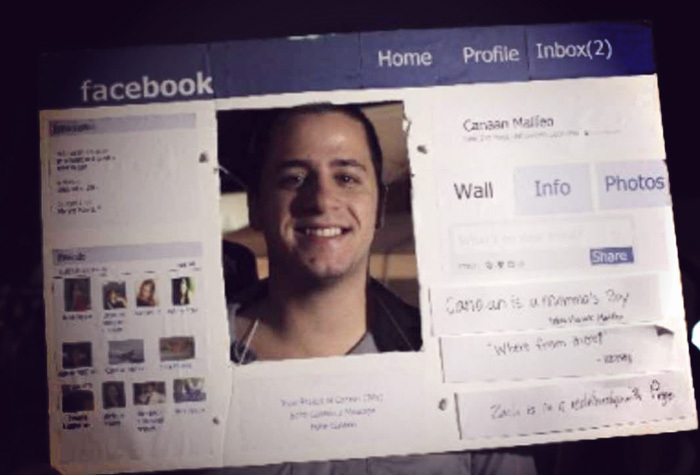 And once you've crafted your Facebook profile costume to preference and it's ready to go, you can take a black pen with you to the party, allowing other guests to add or modify the information displayed on your costume, thus making it an interactive experience. Another Halloween icon, Frankenstein's monster always goes down a storm come 31st October and if you want to make your pals green with envy, you can create a highly horrendous creation without having to spend hundreds of dollars - again, just need a little pocket change, some time and a little patience. Follow this tutorial and before you know it, you'll be staring at Frankenstein's monster in your bedroom mirror. Akin to Frankenstein's monster, if you'd like to go classic this year but cut down on costs, this DIY Dracula costume tutorial will guide you to fanged perfection, step by step. Clowns are perhaps the most frightening of all manifestations cooked up in horror movies - and if you don't believe us, check out our unsettling rundown of horrible clowns from the TV or movie world (**I thought you could link to the clown article when it's published**) - good luck getting any sleep tonight. Not all Halloween costumes have to be terrifying - in fact, some of the most effective seasonal outfits are unsettlingly sweet, or cute - like this one - the bag of jelly beans. To whip this cheap, quick, easy and colossally cool ensemble together, all you need is a clear bin bag, a bunch of balloons and a couple of ribbons. 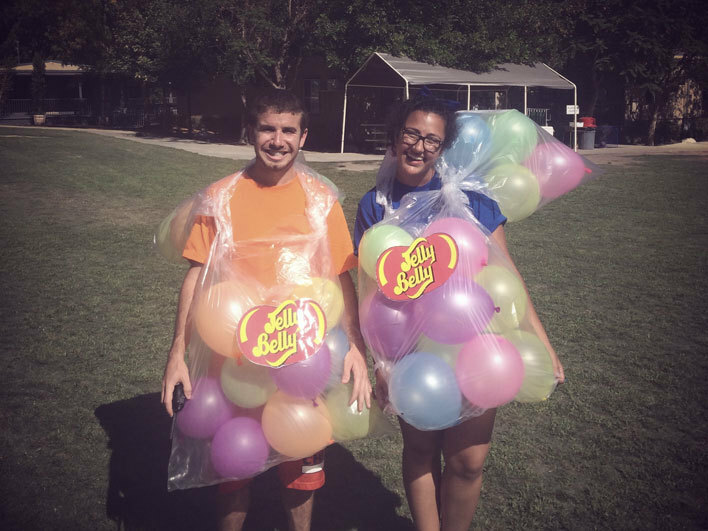 Simply cut out some leg and armholes, blow up your balloons, put your bag on, fill the said bag with balloons, tie everything up with your ribbons, and if you wish, decorate yourself with a jelly beans logo or even nutritional information - the choice is yours. Oh yes, some pretty cool and cost happy Halloween costume ideas that are sure to make you the toast of the town - which one will you choose? The best thing about these ideas is that with each, you can use your creativity to add your own personal flair, using them as templates from which to go wild. But, to be fair, not all of us want to get crafty and take the DIY route. Which costume would you try out?